Every saint was once a sinner, but maybe a little sin still lives in us all.Easter Young is a devoted housewife, loving mother, and first lady who’s tired of coming second and finally ready to put herself first. Having fallen in the shadows of her prominent, preaching husband, Pastor Bryce Young, for the past sixteen years, Easter becomes jaded, striving to find her light after dimming it for so long. She’s desperate for a life outside of the church, and even more desperate to get away from the one man she thought she’d love forever... Bryce. Fast cars, fancy clothing—none of it is enough to make her stay. She’s taken all that she could take. 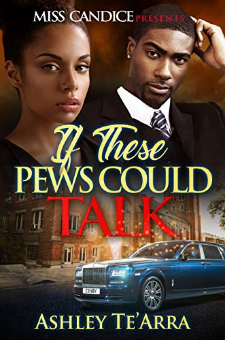 The secrets, the lies, and the betrayal.Already pushed to the edge, Easter reaches her breaking point when she receives a groundbreaking revelation about Bryce that not only shakes up her marriage but stuns the whole community. As time goes on, more problems arise and shocking matters are brought to the forefront. Although Bryce’s closet may be full of skeletons, that doesn’t necessarily mean that Easter’s is clean. These pews just keep on talking, and it’s safe to say, they aren’t shutting up any time soon.